West Mountain is the first thing you see as you drive into the park. On first glance it looks rather like a slag heap, but in reality it was a granite intrusion from an attempted volcanic eruption. As the magma rose toward the earth’s surface it was stopped by a limestone layer, which eventually eroded, revealing the rocks we see today. 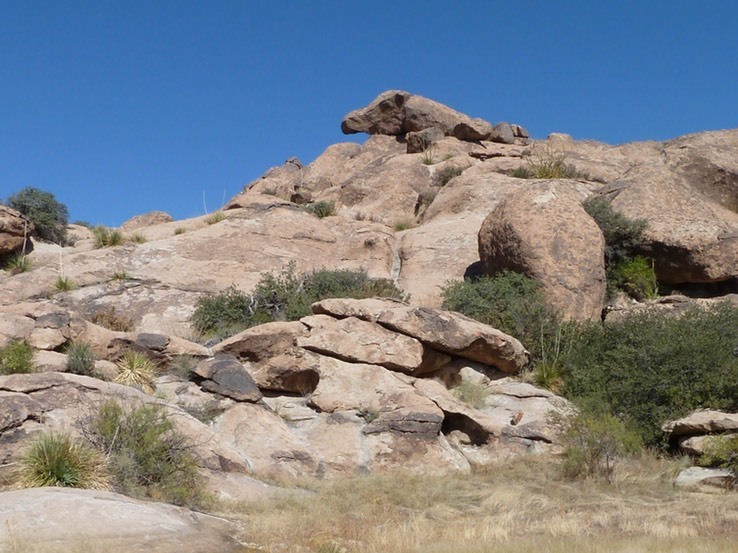 The rocks in the park are a soft granite known as porphyritic syenite, while the surrounding mountains are limestone. 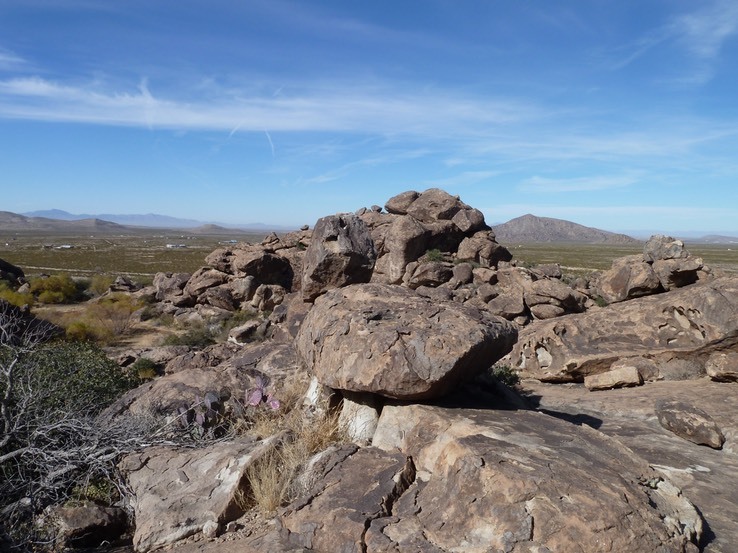 Within the park there are four rock groupings: West Mountain, North Mountain, East Mountain, and the East Spur. 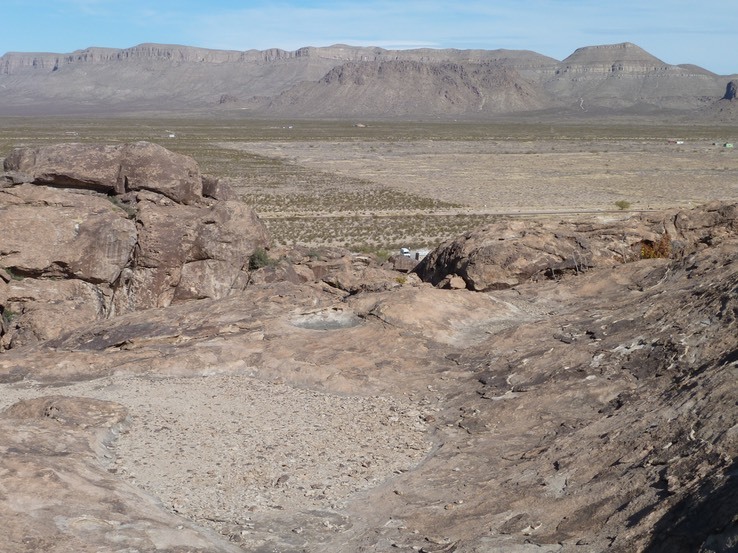 The park’s mountains originated 35 million years ago. 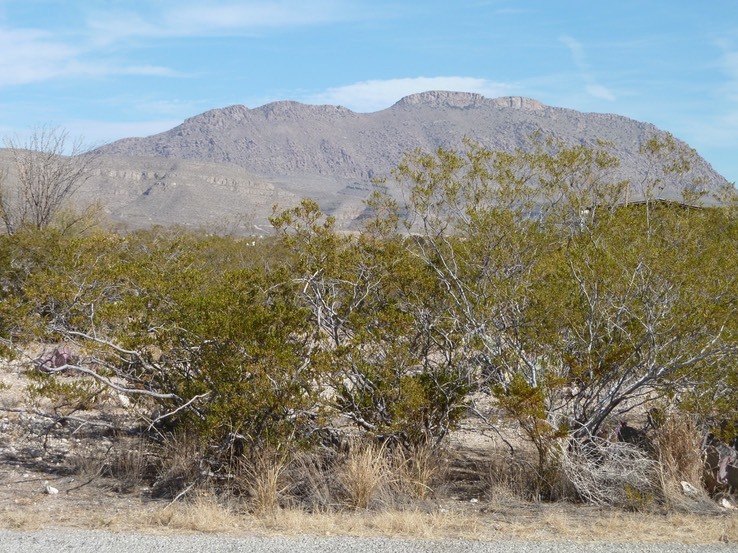 The granite mountains in the park were once covered by limestone, which has since eroded. The rocks are now covered with what is referred to as ‘desert varnish’ or 'patina’. This mix of chemicals protects the rock and also provides great traction for those who walk on the rocks. 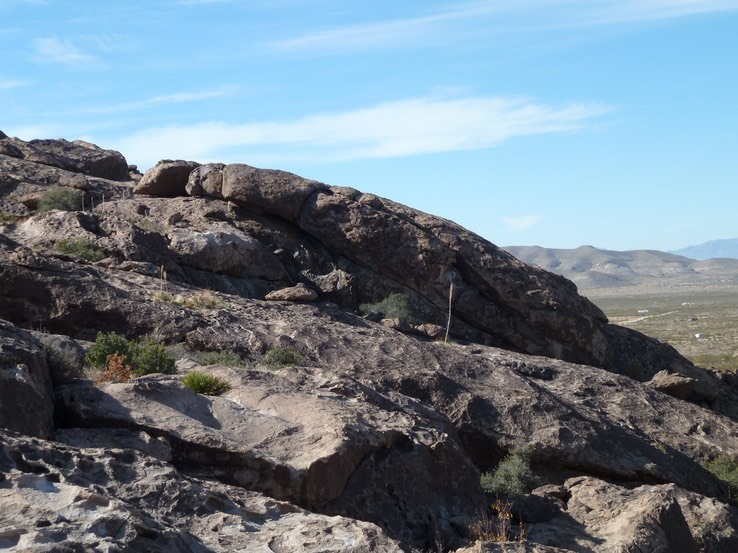 The photo below shows the Hueco Mountains, which are limestone formations. The most prominent example of the limestone mountains is Cerro Alto (Spanish for 'Tall Hill’), which is a distinctive shape on our horizon. If you put your imagination to work you will probably see other interesting formations. 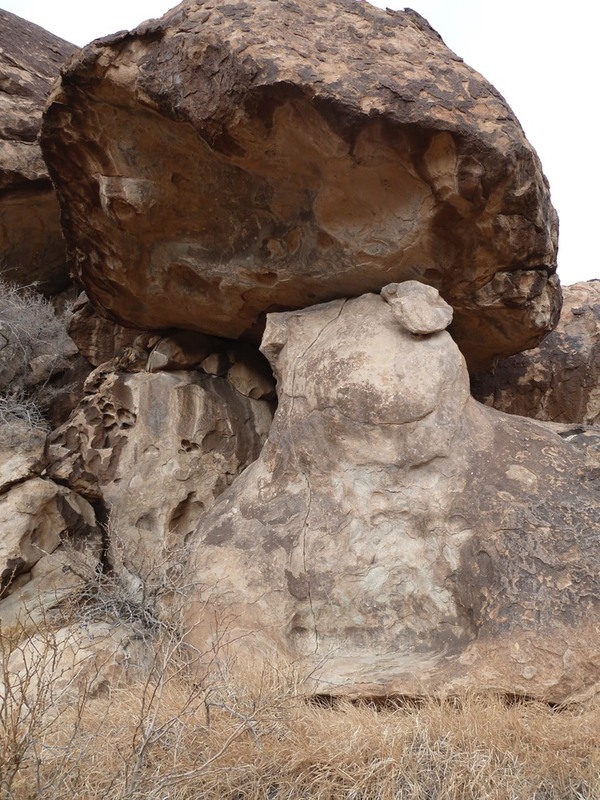 There are many balancing rocks in the park and places where you can see that rocks have fallen. In the photo below you can see what happens when one of those large rocks falls. The lower rock is cracked all the way through.